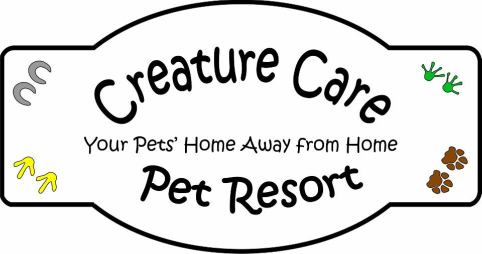 Creature Care has your pets’ best interests at heart. Our vaccine protocol is in accordance with the standards set by the American Animal Hospital Association (AAHA). The following requirements are to help insure your pets’ health and well being before, during and after their stay. However, stress does affect the immune system and digestive tract and with a large number of animals kept in an enclosed area, susceptibility to viruses and infections is possible despite our best efforts. ﻿﻿﻿﻿BOARDING SPECIFICATIONS:﻿﻿﻿﻿ Dogs and Cats must be at least 5 months of age and must be current on all vaccinations at least two weeks prior to their boarding reservation. Some exceptions may apply according to vaccination history and age. GROOMING SPECIFICATIONS: Dogs and Cats must be at least 4 months (16 weeks) of age and must be current on all vaccinations at least two weeks prior to their appointment. Some exceptions may apply according to vaccination history and age. All vaccines are required to be administered by a qualified Veterinary professional to ensure that vaccination protocols were followed. Proof of vaccines must be provided before any appointments or reservations can be made. Flea, Tick and Heartworm Prevention is strongly recommended but not required. Should any fleas or ticks be found on your pet during their stay, Creature Care is required to administer treatment at an additional fee.